Are Dogs Mouths really cleaner than humans? 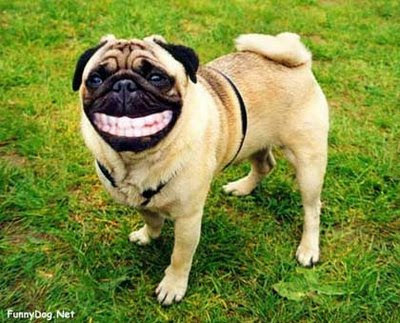 Many people may have heard a myth that dogs’ mouths are cleaner than the mouths of human beings. This rumor is likely to stem from the fact that dogs are often seen licking their wounds, which rarely get infected. However, people who believe that dogs’ mouths are cleaner than humans’ mouths are greatly mistaken, according to veterinarians who have spoken on the subject. Most humans have a strong belief in good hygiene, and brush their teeth at least once or twice every day. Human mouths rarely come into contact with external bacteria. Dogs’ mouths, in contrast, are rarely cleaned in most cases. Dogs also have a tendency to sniff around and eat bacteria-filled waste — including rancid food and feces — whenever they are given the opportunity to do so. Contrary to popular belief, dogs’ mouths are far dirtier than the mouths of the typical human being. The reason that dogs’ mouths rarely infect the wounds that they lick is that their licking has the effect of clearing away the dead tissue, similar to the work a surgeon would do to clean out a wound. Even though dogs’ mouths are full of bacteria, dog bites do not usually cause infections in humans because most bacteria in dogs is particular to their species. Therefore, even if the dog is infected with a disease, the human is unlikely to catch it. For this reason, it is not especially dangerous to share food with a dog or to kiss dogs’ mouths, though neither option is exactly the most hygienic of decisions. If you are a dog owner, and would like to make your dogs’ mouths cleaner, there are special toothbrushes and toothpaste that you can buy to use on your dog, which will help to get rid of some of the bacteria in your dogs’ mouths. Though it may be difficult to get your dogs to open their mouths initially, they will calm down once they understand what you are doing. Some of the special toothpastes for dogs’ mouths come in flavors like beef or chicken — buy one of these, and your dog will soon look forward to his daily teeth cleaning. This entry was posted in dirty mouth on August 29, 2009 by yourfriends. 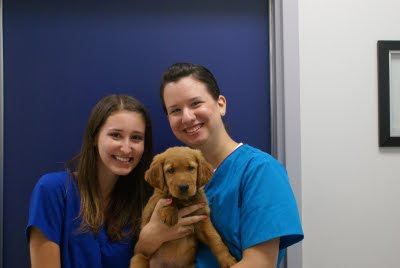 Dr. Kim recently stopped by with Kaitlyn for a visit. She’s a cutie! This entry was posted in Dr Kim, Kaitlyn on August 26, 2009 by yourfriends. Dogs now have a place to run free in Frederick County. While most parks in Frederick County allow dogs, rules say they must be leashed. The new Greenbriar Pet Resort and Veterinary Center on Thurston Road is offering fenced-in areas where leashes are not needed, provided Fido is well behaved. Big dogs and small dogs each have their own sections, with each section about an acre and a half, according to Sharon Kessler, the executive director of the boarding kennel. In the middle of the expansive grassy area is a gazebo for dog owners to sit and watch their dogs at play. The Urbana park is free. Greenbriar is asking pet owners to sign a one-time release on their first visit and get a copy of the park rules. The kennel asks that aggressive dogs and female dogs in heat not come to the park. Plastic bags and trash cans will be at the park for dog owners to scoop up after their dogs. The kennel also has a nature trail that’s a little less than a mile long. Dog owners are welcome to take their dogs on the trail on a leash. “We hope by late spring that a pond will be available,” Ms. Kessler said. The dog park is surrounded by a split rail fence with wire mesh along the inside. The pond site is surrounded by a chain link fence. The nature trail is lined with wood chips. The City of Frederick Parks & Recreation Department is excited to announce the opening of our first Dog Park. The Dog Park is located at 212 Carroll Parkway, at the corner of North Bentz Street and Carroll Parkway across from Baker Park. We are extremely pleased to offer this park to all residents, particularly those in the downtown area. Please be advised that all dogs must be registered and receive a tag from the Department of Parks & Recreation prior to using the park. You may visit the William R. Talley Recreation Center at 121 North Bentz Street during normal business hours to apply for and receive your tag prior to using the park. 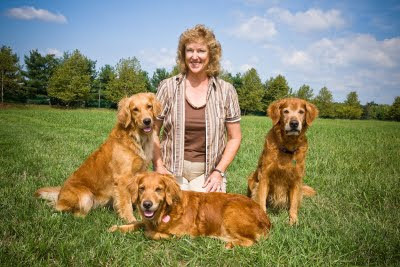 The brochure and application are also on our website at: http://www.cityoffrederick.com/departments/Recreation/docs/dog-park-registration.pdf. This entry was posted in Frederick Dog Park, Frederick Parks and Recreation on August 23, 2009 by yourfriends. This entry was posted in Interns on August 14, 2009 by yourfriends. Chronic Renal (Kidney) Failure is a common complication among senior cats. With age, the kidneys are unable to properly filter and absorb water, causing pets to be in a chronic state of dehydration. While their is no cure for Renal Failure, several things can be done by the pet owner to keep their kitty feeling better, longer. A low protein, kidney-friendly diet such as Hill’s K/D or Purina’s NF can reduce the strain of the kidneys by reducing the amount of protein and thus phosphorus that the kidney must process. Also, the health care team can instruct owners on how to give SubQ fluids, or fluids under the skin, to rehydrate the cat and make her more comfortable. Typically, SubQ fluids are administered under the skin, through a needle attached to an IV line and bag of fluids. The needle is similar one used to give a vaccination. If SubQ fluids need to be given on a long term basis, it can be painful for the kitty to be poked daily or every other day, making it challenging for the owner to given the fluids routinely. A skin button is a dime-sized latex port that is surgically implanted in the cat’s skin, while she’s under anesthesia, allowing for SubQ fluids to be given without a needle. A special adapter fits onto the end of the fluid line instead of a needle, allowing SubQ fluids to be given painlessly. The skin button is simply swabbed with alcohol to clean it and then the injection adapter fits into it. The skin button can stay in the skin for several months or as directed by the veterinarian. “Izzy” is an 11 year old spayed/female Domestic Shorthair cat affected by Renal Failure. She had a skin button implanted the beginning of June. Her owners are finding it much easier to administer the SubQ fluids to “Izzy” at home through the skin button and report that she is tolerating the button well! This entry was posted in Skin button on August 8, 2009 by yourfriends. Get ready to travel–for the first time, there is a medicine that prevents vomiting due to motion sickness in dogs! 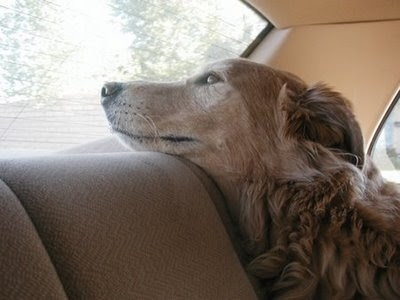 If you want to take your dog along on trips, vacations…sometimes just to visit friends nearby—but can’t because your canine companion gets sick when he travels, then read on. Now there’s CERENIA, a new medicine that prevents vomiting caused by motion sickness. Motion sickness is very common. Pfizer Animal Health talked to many dog owners and found that about 1 in 6 dogs gets sick from traveling. That’s 17% of all dogs! 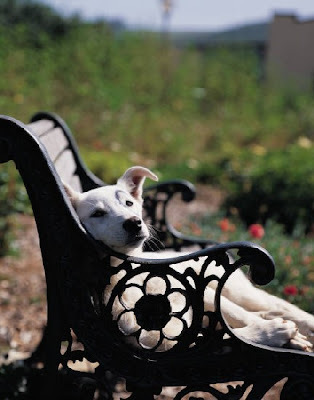 For additional questions about CERENIA or your dog’s health, be sure to talk to your veterinarian. This entry was posted in Cerenia on August 5, 2009 by yourfriends.